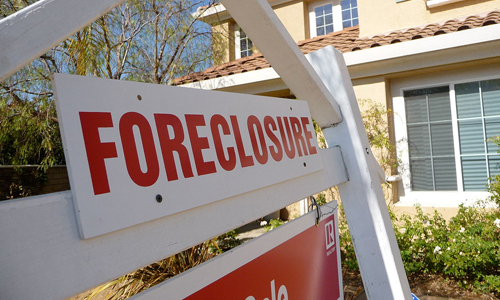 The housing market is flooded with houses and properties that are in foreclosure. Most of these properties are purchased back by the institutions that financed them, such as, the HUD (Housing and Urban Development) department in the United States, and banks. They put them back for sale in the real estate market after buying them back. Being a buyer, you should conduct a thorough research in order to find a house with a reasonable price. However, when you are searching for a home with a better than average price, it is important for you to have a basic understanding of the types of home available in the market. There are many individuals who think that HUD homes and Foreclosures are the same properties, but they are not. The HUD homes are owned and placed in the market for sale by the United States HUD department, whereas, foreclosures are owned by the government, lenders or banks. And when you go on the market to purchase these properties, there are a lot of differences between these properties. You cannot deny the fact that the borrowers will have to face a foreclosure if they do not meet the mortgage requirement on a monthly basis. If a borrower does not make any more payments in case of a conventional loan that is not insured by any agency of the federal government, the lenders, such as, banks, process the foreclosure arrangements and possess the ownership of the property. However, in case of a mortgage that is insured by the Federal Housing Administration (FHA Loan) of HUD, a home is taken over by the HUD as a result of foreclosure arrangement, and such homes are known as HUD homes. How to Find the Foreclosed and HUD Properties? In a conventional foreclosure, you can find the foreclosed houses on the website of banks and other lenders, or you can contact a realtor in your area to ask him about the detail of foreclosed homes. It is a bit difficult to find such properties, because all the details might not be easily available to the buyer. On the other hand, if you are looking for homes that are owned by the HUD, it is comparatively simpler than the conventional foreclosure properties. You can find the HUD-owned properties with a zip-code, address, and city, county or by state on their official website. You can search for specific details, like the number of bathrooms and bedroom requirement after entering a defined price range. Purchasing a conventionally foreclosed house is different from purchasing a HUD home. In a regular foreclosure arrangement, a buyer makes an offer to the seller after selecting the foreclosed property he wants to buy, and the offer can be put forward with the help of a realtor or a buyer can make this offer himself. The sellers are usually banks and lenders. But when you want to purchase a property under the HUD arrangement, you cannot make an offer on your own. This can only be done with the help of real estate agents, who represent you while making an offer for the HUD home. In the HUD arrangement, properties are sold on an online bidding system, and every HUD property has a definite deadline. The HUD considers only those bids that are made prior to the deadline. However, if HUD does not find the bids to be high enough, it has an authority to reject all the bids that are received during a certain period. Therefore, being a buyer, whenever you step into the real estate market to search for a house, make sure you have a basic understanding of the difference between conventional foreclosed properties and HUD-homes, so that you can follow the processes without any confusion. Hira Waqar. "Difference between HUD and Foreclosure." DifferenceBetween.net. October 17, 2014 < http://www.differencebetween.net/business/finance-business-2/difference-between-hud-and-foreclosure/ >.